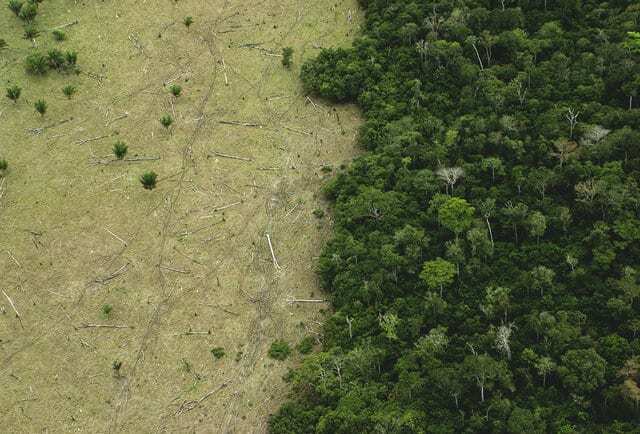 The Brazilian rainforest is in a crisis. In the 500,000 square miles of what was once rainforest along the Atlantic coast, more than 80 percent of the area has been lost to deforestation since 1970. Even more land is damaged by degradation, or the clearing out of trees and brush below the canopy. It’s easy to feel helpless while the destruction rages on thousands of miles away, but there is one thing you can do: drink more cachaça. Novo Fogo Cachaça is taking a number of steps to restore the rainforest with every bottle purchased in an initiative called “The Un-Endangered Forest.” The company has been coached by a Brazilian conservation biologist to identify native, usually endangered, trees, and Novo Fogo employees are planting them across the distillery’s property and the surrounding town. Additionally, Novo Fogo is funding reforestation efforts with local partners in the area and raising awareness about the downside of using native Brazilian wood for barrel aging. At first glance, ordering up cachaça to save the rainforest seems counterintuitive. Cachaça companies are, after all, partly responsible for deforestation as they clear large swaths of land to grow sugarcane and produce cachaça. The spirit is made from raw sugarcane, and is the third most produced liquor in the world after soju and vodka. Unaged cachaça is the most common, especially in cocktails like the Caipirinha, but barrel-aged cachaças are available as well. The barrels can be more problematic because they’re often made from Brazilian trees, most of which are on the endangered species list. All hope is not lost, though. Novo Fogo’s reforestation efforts in its town are a small step in the right direction, and are also a delicious way to help. It’s in the interest of cachaça producers to promote sustainability and build up a healthy landscape around them. Novo Fogo hopes that their initiatives serve as an inspiration. It’s not like you needed an excuse to drink more cachaça and Caipirinhas, but it goes down smoother knowing you’re helping reforestation efforts.